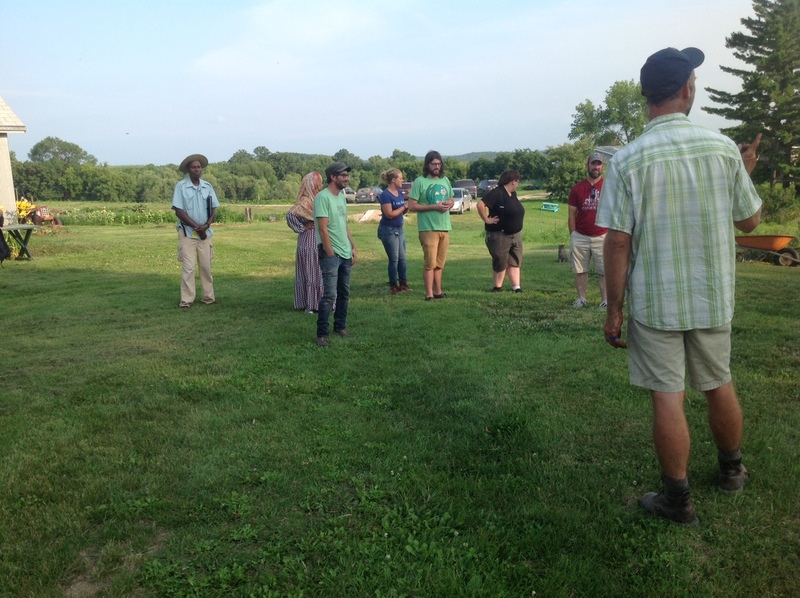 A few CSA members took me up on my invite to join a little farm tour last week – thanks for coming. 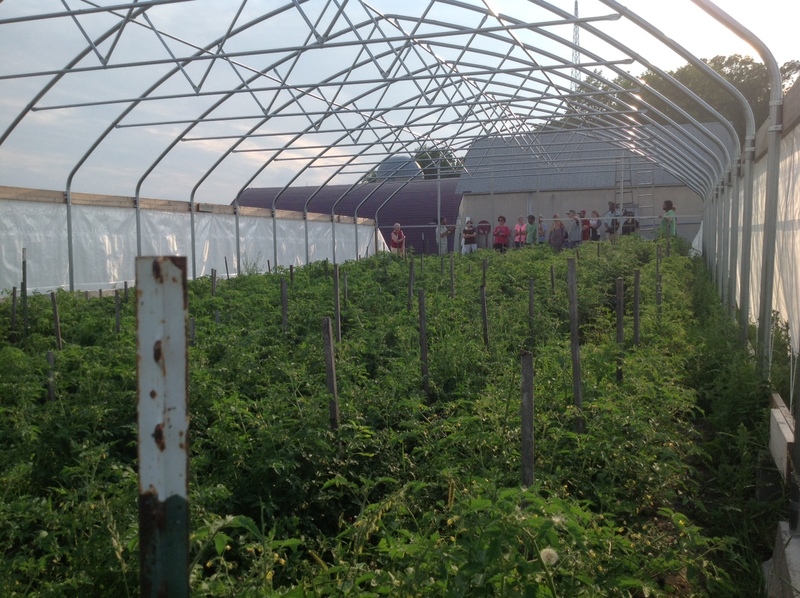 The tour was hosted with an organization called FARRMS, a sustainable agriculture organization in North Dakota. Part of their work is to support beginning and existing sustainable agriculture operators build their business and get going. I’d say farm tours are more common among the organic community than the conventional farm communtiy, in part because there’s greater experimentation in growing crops and tricks to deal with things like weeds and pests than on a conventional operation. I also appreciate that the organic farming community is willing to share and support one another instead being competitive and throwing rocks at each other. I don’t know what tour participants had as a big takeawy from this week…maybe ‘Ryan never finishes a project’ or ‘How do so many weeds grow in one location?’ Whatever the takeaway, getting together and looking at crops should be a Midwestern tradition that never dies. Sweet corn: Sorry Tuesday people, it just wasn’t ready earlier in the week…a few days makes a difference. This is an early corn variety, so ears are always small. You should see the stalks…they stand about 3 feet tall. Red Torpedo Onion: Use as you would any red onion, either fresh or in cooking. Fresh Thyme: Small bunch in box.